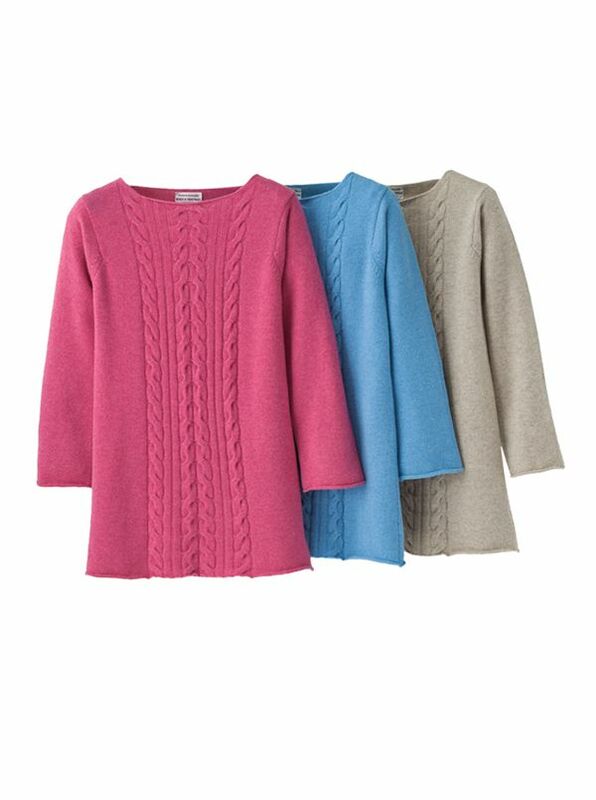 Cashmere Boatnecks are tunic-length with exquisite cable detail on front. Knitted in Scotland with open cuffs bottom and neck. Scottish Cashmere is the world standard for supreme softness remarkable resilience and complete comfort.